We have over 3000 Phuket Hotels for all budgets and styles. Phuket is now one of the most visited holiday destination in Thailand. Most people come to Patong where there are beautiful beaches, Thai food, shopping and bars. If you have never been to Patong and stayed in one of the many Phuket Hotels then this is a must visit for your holiday to Phuket. We have 1 star hostels to 5 star resorts. All of them are at great prices and are very cheap compared to hotels in western countries. Most Thailand hotels have swimming pools where you can relax, cool down and have a nice cold beer or cocktail. Patong Hotels average around 3 stars but you get a lot for what you pay for and they are all close to Patong Beach and Bangla road. Being a quick one hour cheap flight from Bangkok makes Phuket an easy place to get to. It is worth the quick trip, as the beaches and resorts are some of the best around Thailand and Asia. 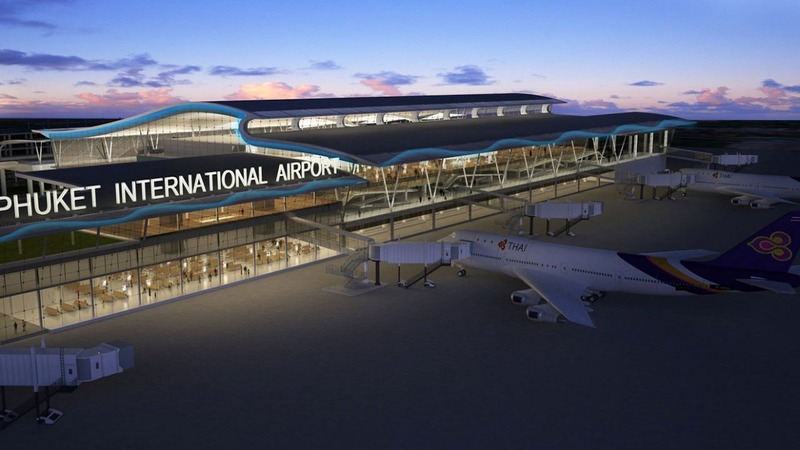 It is also an international flight destination making it even easier for people to get to, without having to do a connecting flight through Bangkok. Being the largest Island in Thailand, Phuket is around the same size as Singapore. which gives a traveller plenty of things to do and see. If you just want a relaxing holiday then Phuket is also full of beautiful white sandy beaches lined with coconut palms and they are all around the island, so there are plenty to choose from. 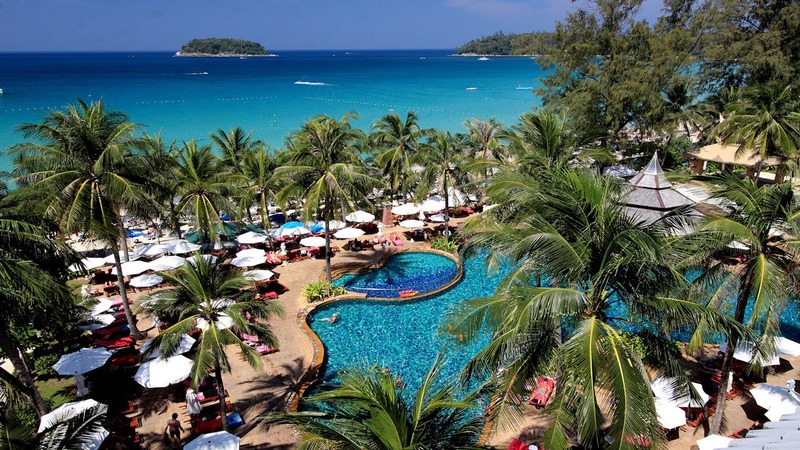 Making Phuket a must visit when you holiday to Thailand. Getting around Phuket is easy. You can organise a tuk tuk or taxi or you can even hire a mini van and driver to take you to the well known tourist spots or just to show you around the island. They pick you up from your Phuket Hotel and drop you where ever you want to finish. We have a lot of tours that are either around our Phuket Hotels or leave from Phuket and take you to the nearby places like Krabi, Phi Phi Islands, Maya Bay and Ao Phang Nga National Park in Phang Nga. You can organise your own tours around the island. All you have to do is hire a driver and a mini van for the day (Between 1400 and 2000 baht) and ask the driver to take you to the popular places. Places like The Big Buddha are easily accessible by van and then you can go to the many lookouts in Phuket or head to Old Phuket town to do some shopping and drive back along the South coast and stop at a traditional Thai restaurant for some Thai Food. If you like everything organised for you and you just want to go on a tour without the hassle of getting lost or going to the wrong places, then we have a lot of tours that you can pre-book. This takes the guessing game out of your day and everything is set up for you, including pick up and drop off at your Phuket hotel or resort. Getting to Phuket is easy, quick, cheap and convenient. You can get to Phuket in many ways but flying into the Phuket Airport is the most popular. It is also cheap to fly into Phuket from around Thailand and other Asian countries. Check out different ways to get to Phuket and their prices and timetables.